As with so many events in Rio, we had our chance and failed to take it. 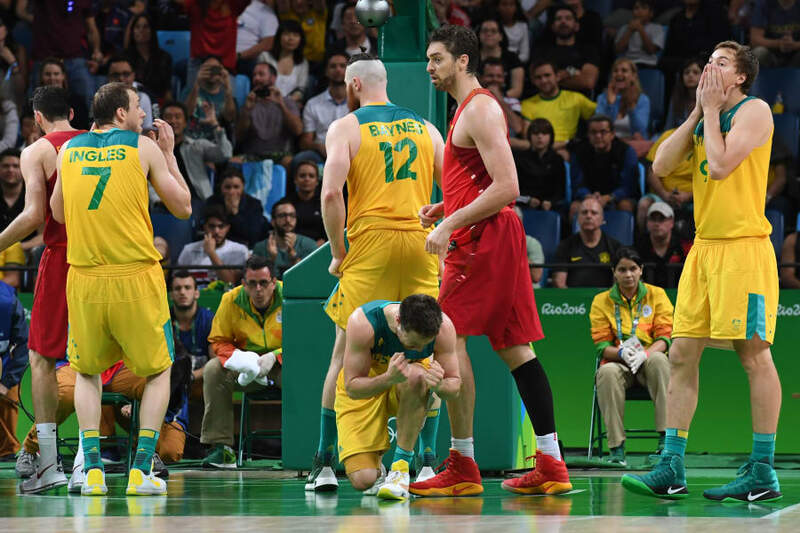 Australia was down by one point in the men's basketball bronze medal match of the Rio 2016 Olympics. The clock had stopped. Our ball. 5.4 seconds to play. At stake, our first ever men's basketball medal. But there was more at stake than a piece of basketball history, and our 30th medal at these Games -- a number which still would have been well below our London total of 35. A medal here would have left a nice taste in everyone's mouth. It would have been fitting reward for a team which has impressed everyone both on the court (except for the semi-final disaster against Serbia, which we'll conveniently ignore here), and off the court too. The Boomers have been a joy to watch and to interact with here in Rio. In both their play and their conduct, they have been the embodiment of true team spirit. And then? In the 5.4 seconds that counted the most? Nothing. 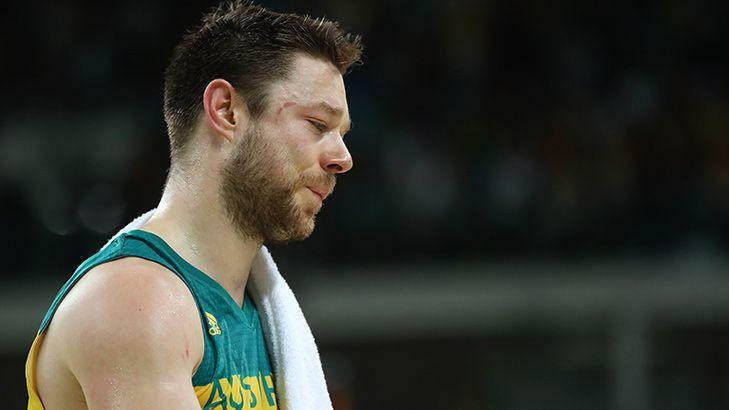 The inbounds ball went through the hands of Matthew Dellavedova and David Andersen -- two of Australia's best throughout the tournament. And it kind of went nowhere from there. We never even got a shot in. In the final breakdown, we broke down. Spain 89, Australia 88. Spain went mad. And we went home. 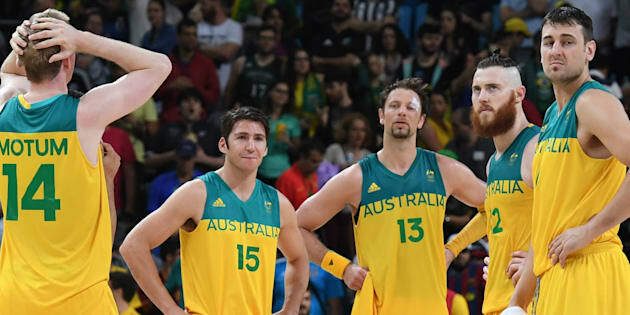 "I feel like we worked hard enough and played well enough to deserve a better result, and that's what I feel now, I feel disappointed for the guys," Australian assistant coach Luc Longley said after the match. "There are lots of bright lights, it just would have been a tiny bit brighter with a bronze medal. I'd like to say we can get one in the future but we had our chances tonight, that's for sure." We had our chances all right. Australia was below its best in the first half. We were poor at times, but not Serbia poor. Spain 40, Australia 38 at halftime. Anyone's game. Andrew Bogut fouled out early in the second half. "It definitely had an impact," Longley said. "But I thought the guys who were on the floor played great." 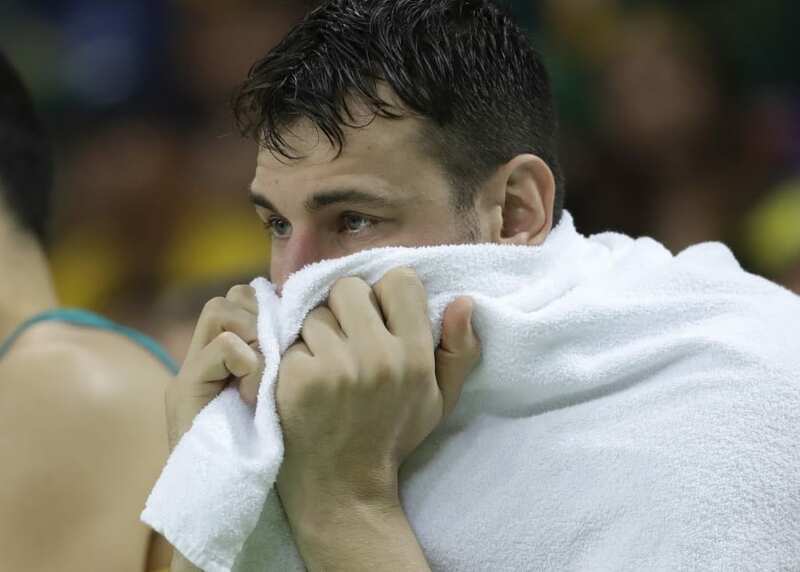 It was all towel time for Bogut after that. He's right. Patty Mills sparked to life, contributing the bulk of his team-high 30 points. He was busy under the basket, where he continually weaved his way through a forest of tall Spanish legs, and nailed a couple of clutch three-pointers too. The margin was never more than few points, but always seemed to be in Spain's favour. And so it stayed. "It just goes to show how hard it is to win a medal at such a big tournament as this," a stony-faced Mills said afterwards. Yeah, tough indeed. It's around this stage of the Olympics that people start dragging out the old population to medals ratio, on which score Australia always fares well, and has done so again in Rio. But no matter which way you spin it, you can't get past the fact that Australia's team fell short of overall expectations here in Rio. Expectations, of course, is a loaded term. Whose expectations? The team's? The public's? The public's expectations based on that of the team management led by by figureheads like chef de mission Kitty Chiller? A little from Column A, a little from Column B, and a lot from Column C.
The AOC releases a thing called its "benchmark predictions" in the lead-up to the Olympics. It's a cold, statistical forecast based on world rankings of athletes across the various Olympic sports. Eight months ago, they predicted 13 golds and 37 medals. Eight golds and 29 medals is our Rio tally. Should we be upset that it fell short of predictions? Of course not. "The biggest thing is understanding how much pride and passion each one of these boys had to be able to put on the green and gold. 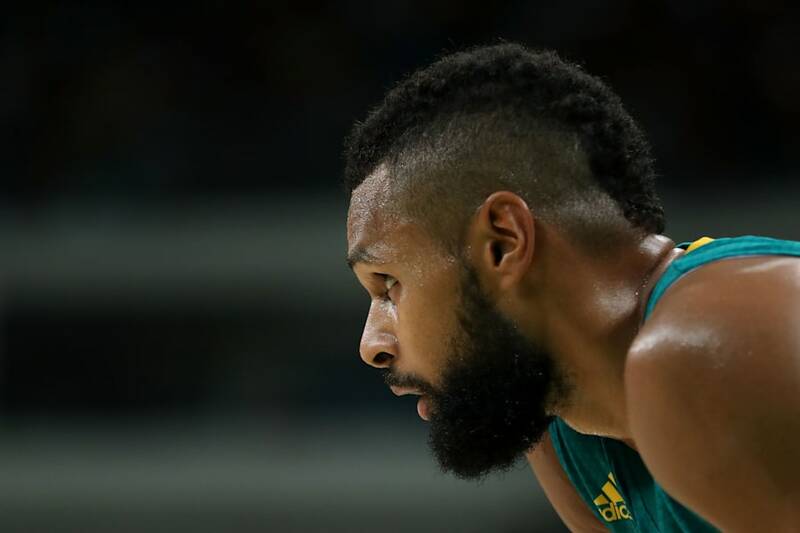 This is what it's all about, being able to step out on the floor and leave everything out there on the floor for your country," Patty Mills said. He was our best player throughout this tournament. Lovely genuine words, but the bottom line is that when it really mattered, we just couldn't deliver our best in key moments at these Rio Olympics. That's what happened in the final 5.4 seconds of the men's basketball bronze medal match and it's more or less the story of our Games. A fight is brewing between the Australian Sports Commission and the Australian Olympic Committee over why this happened, but that's a story for coming weeks. See you in Tokyo.